There's been a video/ad making the rounds of a redneck driving a duct tape car off a cliff that has been quite popular with the Gentlemint community. Today we're going to feature that product in the ad: FiberFix. 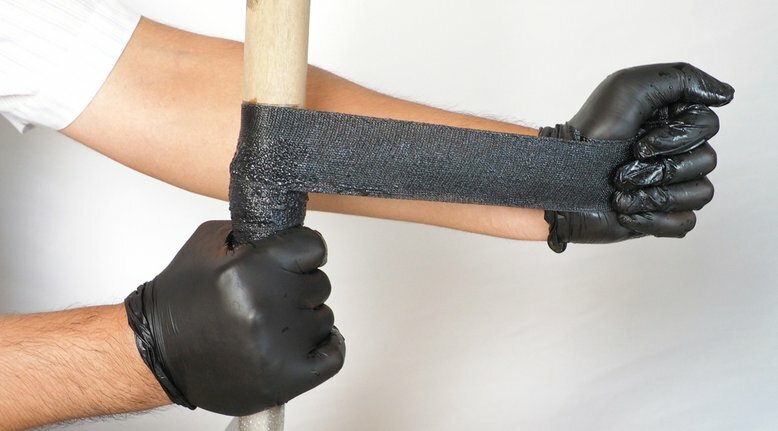 FiberFix is a duct tape that is the Superman of duct tape: with is one hundred times stronger than duct tape. Once it's hardened, it's as strong as steel. No really. All you have to do is dunk the roll into water, wrap it around whatever you're fixing, and then wait 10 minutes before it's ready to go. It's truly amazing stuff. At the time of posting the price was $21.